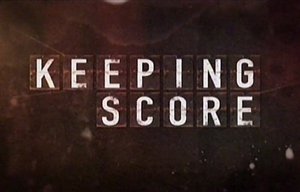 Keeping Score is a South African telenovela created by Thandi Brewer and set against the background of a sports academy which follows Mmamosa, a scorned, obsessed woman, who sets out to destroy the man who dumped her 25 years ago. The series sees vendetta, greed and ambition unfolding through a violent corporate takeover of an all-African Sports Academy dedicated to training and uplifting young athletes by Mmamosa, who is willing to do whatever it takes to get what she wants: lie, cheat, steal or even kill. Against this backdrop of obsessive revenge their children struggle to find love, self-fulfillment and to save the Academy that Mmamosa is determined to destroy. Keeping Score stars Sonia Mbele as Mmamosa, Saint Seseli as Justice, Solomon Sebothoma as Tladi, Siyabonga Sepotokele as Lehasa, Shalima Mkongi as Ashanti, Maki Mokhitli as Warona and Moliehi Makobane as Botho. The series was SABC2's first locally produced telenovela. Composers: Robert Machiri aka Chi Murenga; Reinart Nienaber aka Coco Lupu; Aero Manyelo (Herbal 3 Records); Mpho Mathibela aka Skivvy-G. Finale alert! The crowd roars as Mmamosa tackles her final revenge on Justice. Chained in a tiny room, then trapped in a freezer. This is the fate that awaits Botho.